PSTN (public switched telephone network) refers to interconnected and voice-connected telephone networks. It is also sometimes called POTS (Plain Old Telephone Service). It is safe to say that PSTN tracks back to the days of Alexander Graham Bell, the inventor of telephones, but it has become digital to some extent today. It also uses the circuit-switched telephony while the call is being made. This is also the most basic form of communication that will connect you with one phone call at a time. In some cases, the lines are connected to operators as well. On the other hand, VoIP stands for Voice over Internet Protocol and allows users to communicate through internet service. Instead of a phone company, you can make phone calls to a second party through internet connection. VoIP turns audio into data packets in form of codecs which are passed on to the other party and delivered as un-coded audio messages. It is a communication method which does not rely on circuit-switched network and therefore cost lesser than PSTN. With help of VoIP you will bypass phone companies and be able to make free phone calls if you have a VoIP service. There are obvious differences between these two methods of communication. For instance, when it comes to PSTN, there are dedicated lines to make phone calls that one must access. On the other hand, VoIP rearranges the shape of network by bringing all channels over one internet connection. Secondly, when it comes to getting new features, you will need to upgrade your phone equipment if you are using PSTN. You might need line provisioning for advancing as well. Whereas, VoIP offers services like caller ID, blocking, call waiting and blacklisting etc. as features that either come along or you can update with internet connection. With software or application updates, you will be able to access the latest features. Another difference between the two is the cost of phone calls. For instance, if you are making a long distance or international call through PSTN, you will have to pay according to the distance. The farthest your destination call is, the higher price is demanded. Even bundle offers and subscription charges are more for long distance calls. But, VoIP allows you to make the same long distance calls for the same cost as others. With the same bundles, you can make local and international phone calls. Thirdly, there is the difference in compression of data packets which are to be delivered. PSTN usually compresses to 64kbps in comparison to smart compression of VoIP which is 10kbps. With help of smart compression, VoIP increases the efficiency of delivery of data. 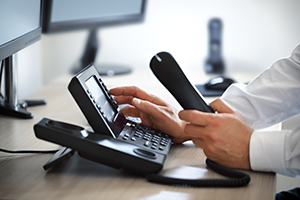 Moreover, VoIP uses internet connection and relies on it to make calls. However, in case of loss of connection, you might not be able to connect with other parties. On the other hand, PSTN does not require a connection and usually can be used without interruption of connection loss. Furthermore, emergency calling such as 911 is only available with PSTN. It is a retraceable line therefore anyone can reach you based on landline. This feature is not offered by VoIP except in Skype. These calls are untraceable which might be a potential set back. There are many businesses which still use PSTN due to its reliability. However, investing in VoIP especially if you want to promote business to a global level can be useful. More and more companies are adapting to VoIP and holding seminars to teach their employees about it due to its obvious role in increased productivity.